Viva voce is a Latin phrase that means “with living voice” and represents an insightful way to describe one of the highlights of our school year. The dual reference of “with living voice” to signify both the concept of “word of mouth” and an oral examination, such as a thesis defense, accurately represents students’ experiences associated with our culminating International Baccalaureate (IB) Extended Essay experience. The IB’s Extended Essay is an independent, self-directed work of research that is concluded with the writing of a 4,000-word paper. Through the process of investigating a topic of special interest, the IB highlights how students develop skills that include the formulation of a research question and the corresponding capacity to analyze, synthesize, and evaluate knowledge. 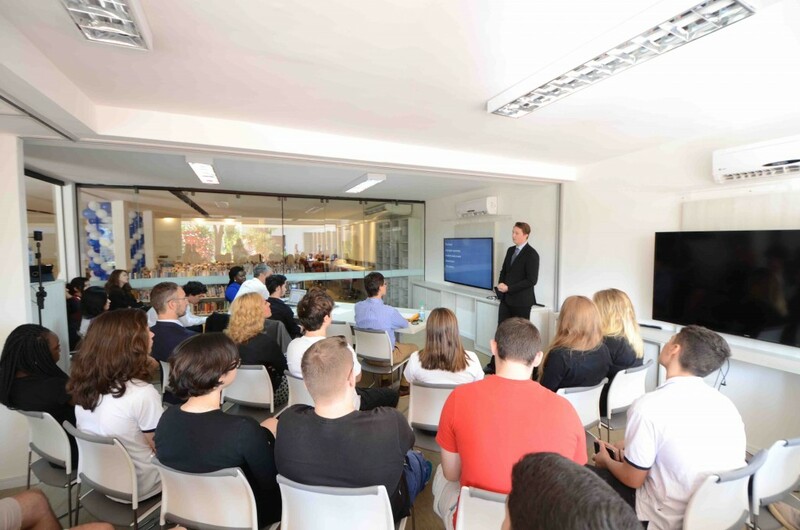 While the completion of an Extended Essay is an impressive accomplishment in itself, the American School of Brasilia extends the experience and learning through an event called Viva Voce. This special event may best be described as the verbal counterpart to the student’s written essay when our IB candidates literally talk about the passion and challenges they experienced when writing their essays. 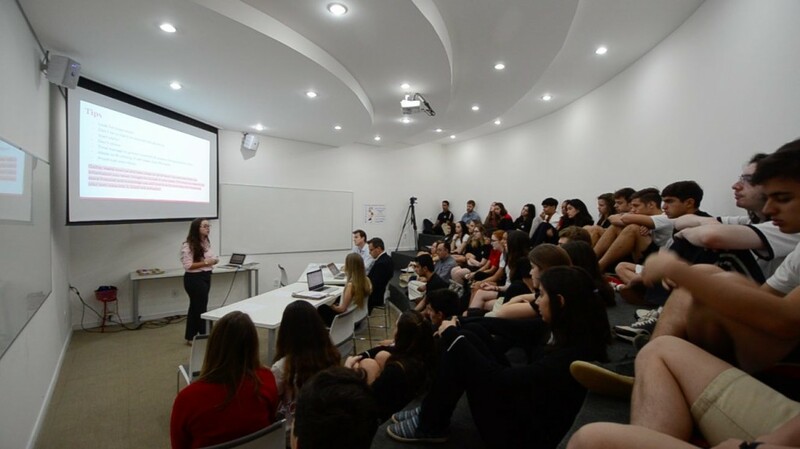 A three to five-member panel, usually comprised of parents, teachers, and students with expertise or interest in the subject, carefully read the essay and formally engage with the IB students during their presentations. The Viva Voce event is also open to our community to participate as a silent audience and, given the full attendance, there is clearly a high degree of support and interest. Macro Economics. The effect of the Greek economic crisis in the EU. Well done Carolina! And, well done to all Viva Voce students! The deep learning experiences demonstrated not only by Carolina but all of our students is not the only factor that makes Viva Voce such a special experience. It is also the fact that teachers, parents, students, and members of the greater community are also participating in the learning experience. As it was the first time I had read Wilde’s Ballad of Reading Gaol, I was grateful to Carolina for sharing her analysis and introducing me to such an important work of literature. I had similar feelings last year when serving on a panel for an outstanding economics paper and was seated with a talented economist from the British Embassy and the World Bank Country Director for Brazil. While I would like to think that I made some meaningful contributions to our conversation about economics, I have no doubt that I was also a learner on this day. This entry was posted in Barry Déquanne and tagged learning, personalized learning, Relevance. Bookmark the permalink.